David has 18 years of investment banking experience including as Head of BMO Capital Markets’ Technology group. Prior to joining BMO Capital Markets in 2008, David spent eight years covering the sector at another Canadian bank owned dealer. David has experience with a broad range of transactions within the technology, media and telecom sectors across North America and Europe. 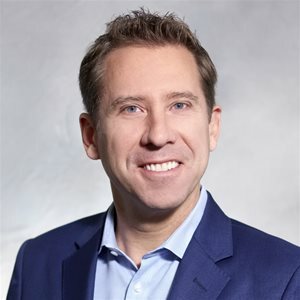 He is an active leader in the Canadian technology community with relationships throughout the technology ecosystem from entrepreneurs, public and private investors, executives and directors. Prior to his investment banking career, David spent seven years in the IT consulting industry, opening a branch office for a firm in Dallas, Texas. David holds a MBA in Finance from Southern Methodist University in Dallas, Texas and received his Bachelor of Applied Science (Honours) in Mechanical Engineering from Queens University in 1993.